“I have managed the Bing Crosby since 1988 and presented more than 5,000 events including Pearl Jam and Alice in Chains. I know talent when I see and hear it and the creative and entertaining performance The Alliance Rock Band presented in October 2013 as a headlining show at "The Bing" was inspirational. It was one of the most innovative performances I have seen and their music made the visuals unique and fun." The Alliance Rock Band plays all original progressive rock music influenced by Kansas, Dream Theater, Triumph, and Rush... just to name a few. Our positive message, full castle stage, and driving rock sound is for all ages to enjoy! We are ready to bring The Alliance rock show to your town! Our music and lyrics tell the story where long, long ago in a distant kingdom stood a spiritual empire ruled by a God-fearing king. The land was fertile, the subjects were joyous, and the king ruled with fairness and compassion. Although there was prosperity throughout the land, an evil force was emulating from the North which could threaten the very existence of this Utopian empire. Join us for a journey which pits the alliance of good against evil, righteousness against tyranny. Prepare yourself for the birth of a new king and a mystical midnight rendezvous. Our new CD "Writing On The Wall" is available for sale. 16 SONGS, over 60 minutes of original, never before released material for just $11.99!! Thank you for your support. The Alliance Rock Band. Click the link below to order the CD! 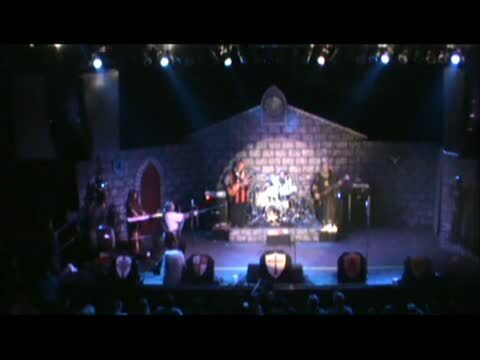 Click http://www.thealliancerockband.com/apps/webstore/ to order our CD!